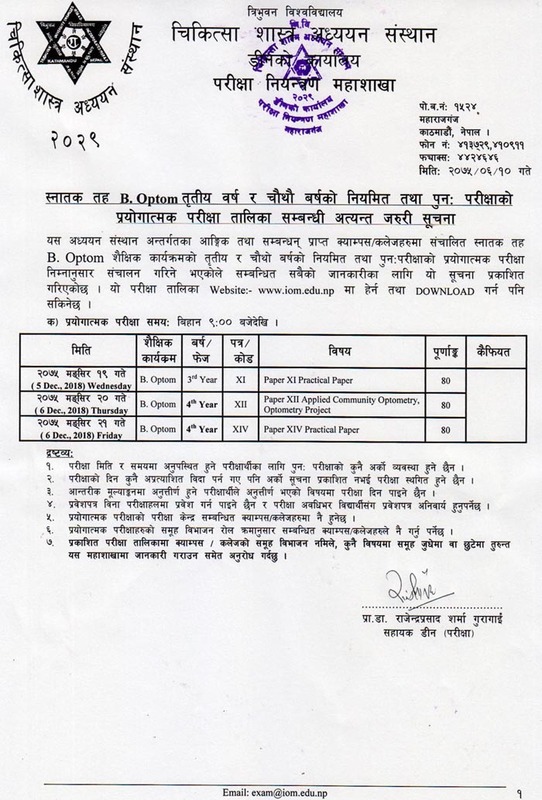 Institute of Medicine, Tribhuvan University published B.Optom 3rd and 4th Year Practical Routine 2075. Practical Exam starts from 2075 Mangsir 19 at 9:00 AM. Check the official B.Optom 3rd and 4th Year Practical Routine below.